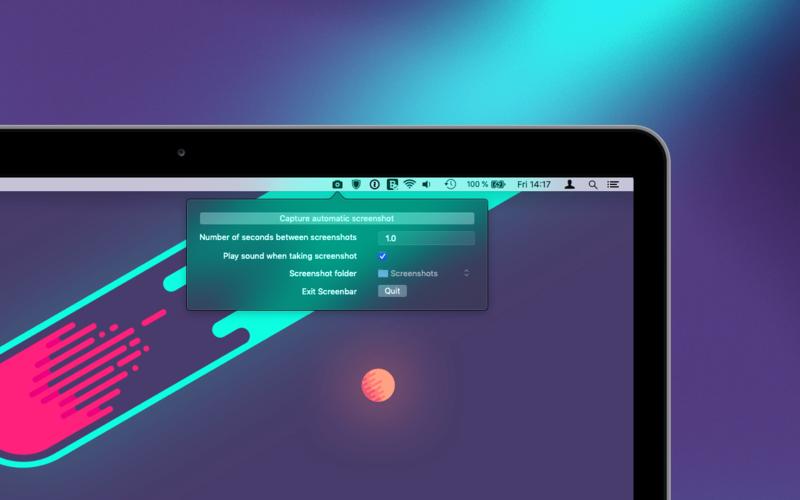 Screenbar is built to take screenshots when you need your hands doing something else. Like playing a game for instance. Automate screenshots in macOS with Screenbar. Screenbar is built to take screenshots when you need your hands doing something else. Like playing a game or collecting screenshots for a time lapse while you're doing an illustration. Set how long time Screenbar should wait between screenshots. Choose a folder to save the screenshots in. On your computer, a usb drive or in the cloud with for example Dropbox or Google Drive.